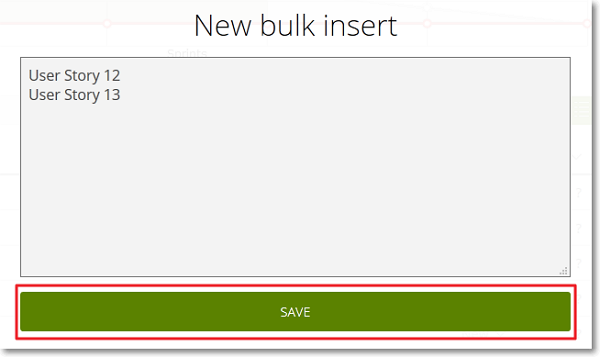 Above the column of the KANBAN chart on which you want to add the new User Stories, on the right side of the column header, click . The new User Stories are added at the bottom of the KANBAN column (which now represents their Status) with the default number of Points (which has been set for the current project on the ADMIN module – for more details, you can go to Default values). 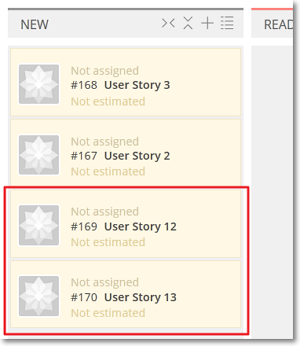 If the BACKLOG module is available, the new User Stories are also added at the bottom of the Backlog.